There are two methods to traveling with a pet – drive or fly. Initially, both options seem to have an upside and a downside. Driving can be an adventurous way to experience nature as your Pomeranian Spitz cuddles in your lap and your Cavalier King Charles Spaniel’s ears blow with the wind. However, that dream can be cut short as driving poses some time-consuming inconveniences delaying your trip and arousing passenger sensitivities. 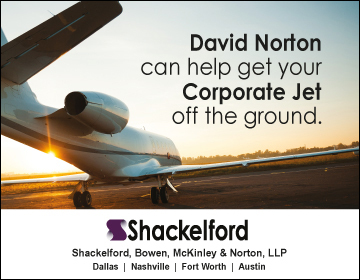 Flying gets you there quickly, yet the dangers that go with commercial air flight get more concerning with each news story. 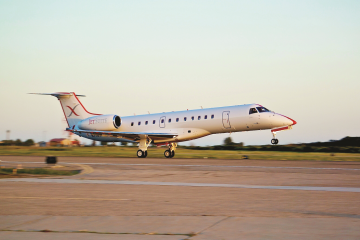 Flying by private jet, however, is growing in popularity as it seems to be the safest, easiest and quickest method to get your furry family where you need to be in luxury with little hassle. 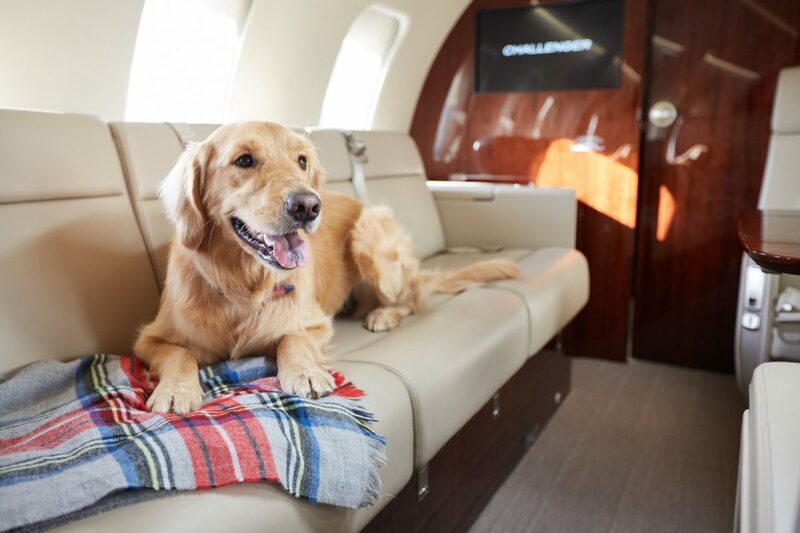 Most private jet companies allow domestic pets onboard — some with restrictions, some requiring a cleaning after the flight. 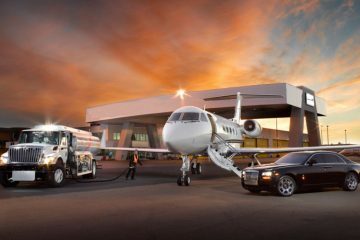 In 2017, passengers traveling with pets by private jet increased 11.3%, reports Victor, a private charter service. As commercial flights increasingly carry risks for all animals large and small, private travel with pets becomes more appealing to even the occasional private charterer. Private flying greatly reduces stress for your Persian princess or beloved Macaw. Pets (and some of their owners) get nervous when things are out of the norm. Traveling by vehicle requires a constant in and out, sometimes in extreme weather. 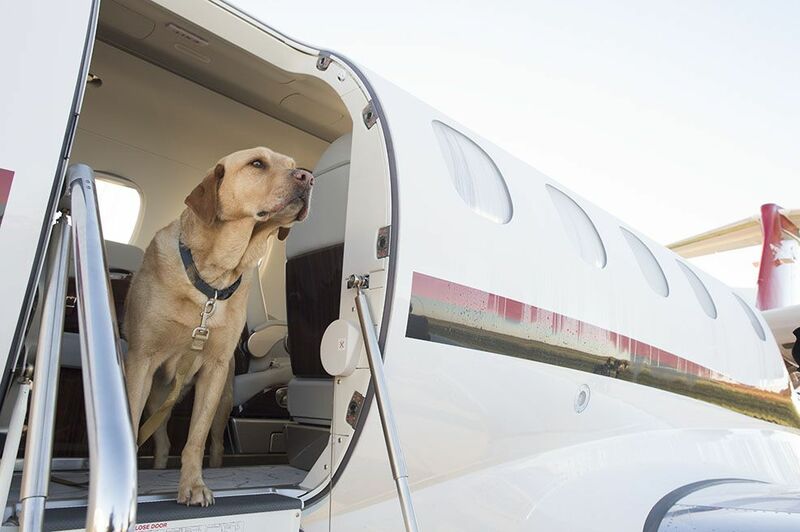 Private flights allow pets to relax with the other passengers in the plane, reducing the amount of stress and health risks for everyone involved. 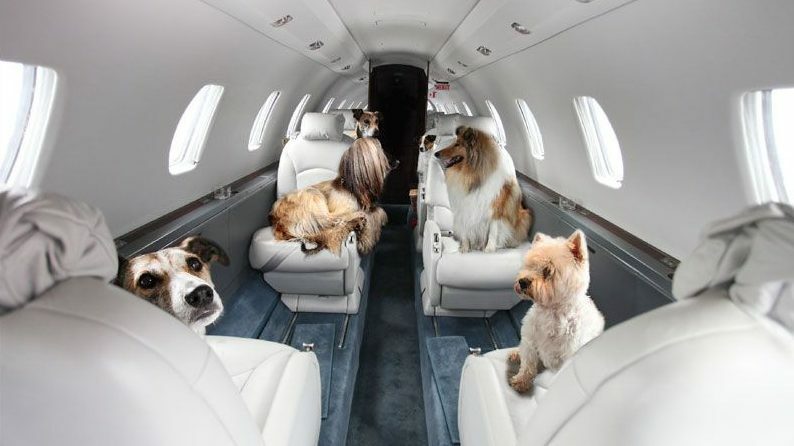 Private jet travel is not only for dogs and cats. More non-traditional and exotic pets like turtles, reptiles, ferrets, birds, goats and more also benefit from personal travel by private jet. Depending on your travel destination, there may be extra considerations to plan ahead. Take care of customs documentation and aircraft permissions as soon as you know your plans. For some countries, paperwork can take up to six months to get in order. Schedule vet appointments to get necessary vaccines when traveling to different states or countries. Update ID tags and secure on their collar. Check safety rules for your particular aircraft. 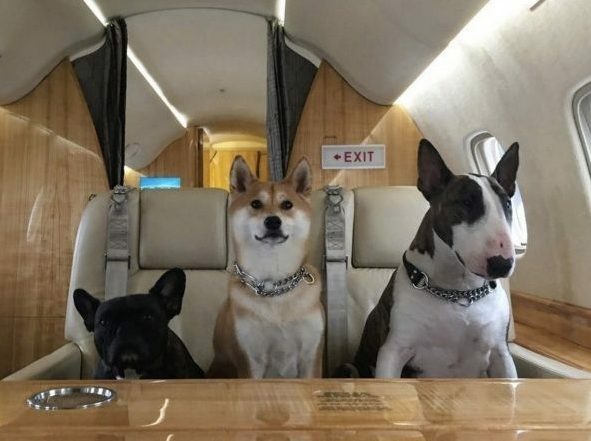 Some aircraft charters require the animal occupy a seat, with a harness attached and they are not allowed to block aisles or emergency exits. Other aircraft owners and operators are a little more lenient with their safety rules. Bring along creature comforts to give your Yorkie a sense of home and to help her feel comfortable while in the air. Let the aircraft operator know you will be traveling with pets – no matter if it’s one python or a family of Saint Bernards. Avoid tranquilizers as they can increase the chances of heart and respiratory problems, especially for your Chow Chow, Bulldog, Pug and Lhasa Apso. Feed your pet five hours or more before the flight to avoid tummy distress and motion sickness. Always have fresh water on hand. 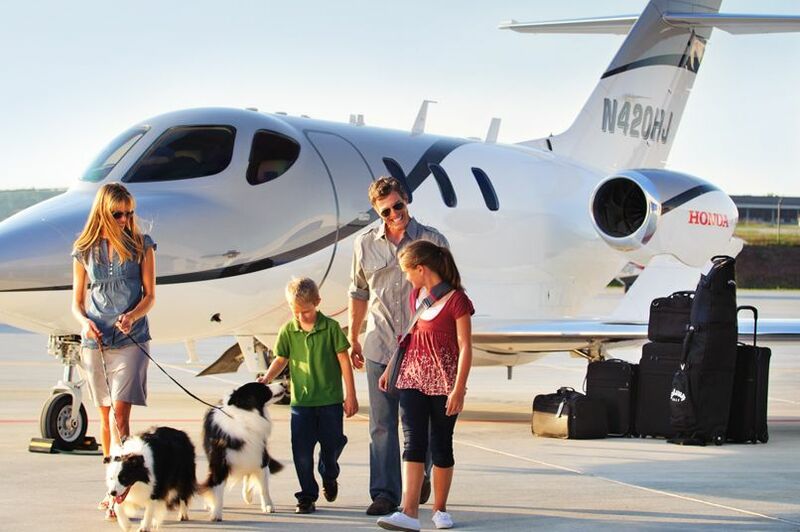 When traveling with pets, there is no better option than flying private to reduce stress and legwork for everyone involved.